In January this year I published a post featuring my absolute favourite John Frieda hair products, as well as some of my favourite tips and tricks to keep your locks luscious. Now, getting into Winter (and therefore drier hair), I have decided to refresh the post with some added top choices from John Frieda! 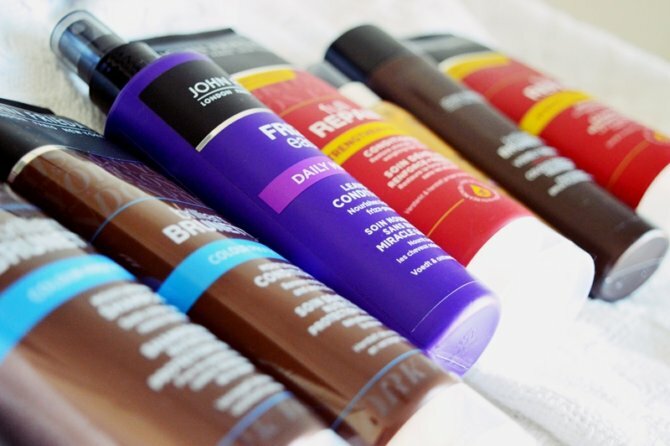 John Frieda offers an extensive range of haircare items. From shampoo and conditioners, to hair repair elixirs, treatments and more. Even with specific ranges aimed towards different colours of hair, whether natural or dyed. In Winter I like to mix it up with my haircare treatments. Where I would usually be as “natural” on my hair in Summer and stay away from heat and treatments, I know that my hair needs tons of extra nourishment in the colder months. 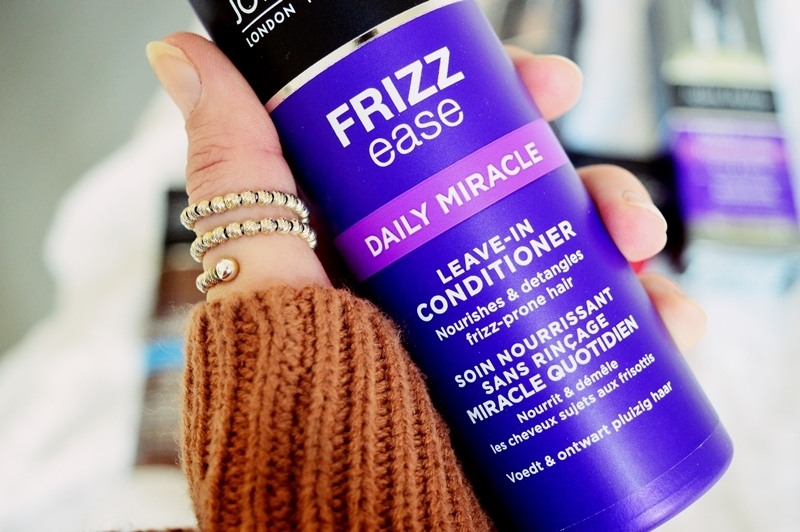 Every Winter for the last three or four (maybe more) years I have used the Frizz Ease Daily Miracle Leave-In Conditioner (R115,99) after each hair wash. As the name suggests, you spritz this onto damp hair with no worry of having to rinse it out. 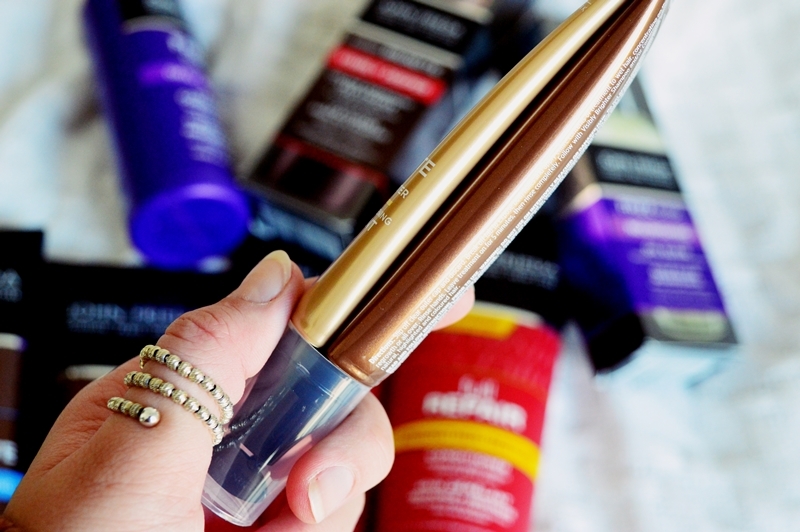 It helps to detangle (everyone hates brushing out wet hair, right? ), it nourishes the hair and alleviates frizz. Out of all the products I am featuring today, this is my number one that I swear by and will always recommend! I must have featured it on my blog over five times by now. It ALWAYS makes it into my yearly favourite posts. Moving on to two of the absolutely fabulous shampoo and conditioner rages; the Brilliant Brunette and Full Repair ranges. The Brilliant Brunette is a colour protecting moisturising range while the Full Repair strengthens and restores without weighing down your locks. There are a couple of variants within the Brilliant Brunette shampoo and conditioner ranges. Namely the Colour Protecting (R115.99) option and the Visibly Deeper (R119) option. The Colour Protecting is the range which I prefer to use and it smells just heavenly. Containing crushed pearls and sweet almond oil, it improves shine with every wash. The conditioner is then enriched with an intensely moisturising formula which rehydrates and protects colour-treated hair. Spoiler alert; I am even more obsessed with the John Frieda conditioners than I am the shampoos. They are some of the best on the market! The Brilliant Brunette Colour Protecting shampoo and conditioner can be used on both naturally brunette or dyed brunette hair. Your freshly dyed mane will have some extra health and shine with use of these. 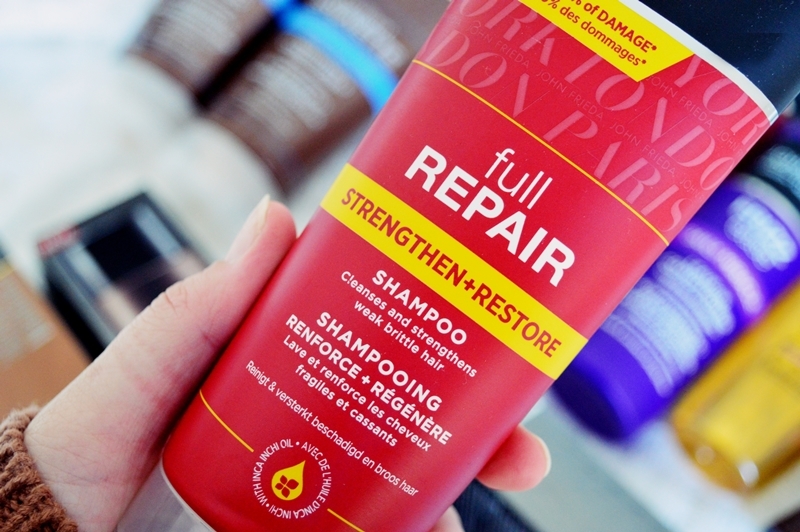 Next up is the Full Repair duo (R115,99 each) which deserved a mention in this favourites post even though I do not have colour treated hair. Once upon a time I accidentally purchased these two without realising that they were formulated for dyed or treated hair. And wow, this conditioner is such a gem. It is a rich and creamy formula which (even though it does not benefit me in a dyed hair kinda way), leaves your hair feeling extra nourished and clean. The conditioner contains inca inchi oil (a natural, additive-free, non-refined vegetable oil) and omega-3 to reverse the look and feel of damaged hair. As well as leaving your hair looking full and bouncy without weighing it down, it is safe to use on coloured/chemically-treated hair. Next up is something oh sooo boujee! 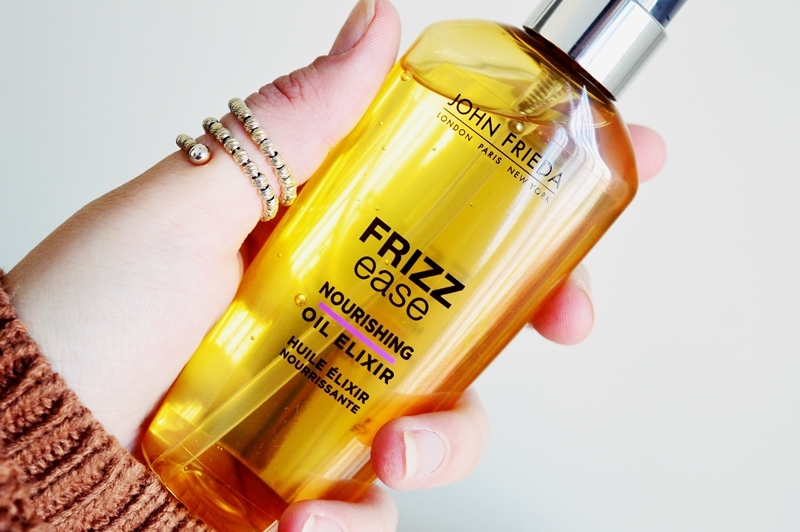 But buyer be warned, you will fast become addicted to the Nourishing Oil Elixir from the Frizz Ease range. The same range that my beloved Frizz Ease Miracle Treatment belongs to. To be used on dry, damp or wet hair, simply use one pump of this and evenly dispense through your hair. So I use about three pumps as I have waist length hair. Always remember to stay away from the roots as your roots do not need the extra nourishment. And it could add oiliness if too much is applied to that area.. The cost of the Nourishing Oil Elixir is R149 and this 100ml bottle will seriously last you about a year. Really, yes, do the maths of using 1ml on your hair per hair wash… that equals about 50 uses! And last, but definitely not least, the In-Shower Visibly Brighter Lightening Treatment (R150). A very innovative and nifty little product, the In-Shower Visibly Brighter Lightening Treatment takes the time consuming aspect out of what you would normally assume of colour treating your hair. With one wash it lightens your hair. The treatment consists of a dual tube type mechanism. This ensures it easily mixes and dispenses the formula as you squeeze it out. Described online as: “This five minute in-shower hair lightening treatment illuminates your shade with a sun-kissed glow.” How could you not want to run right out and buy it. Changing your hair shade without the effort and huge prize tag sounds like exactly the kind of thing that would convince me to finally dye my hair! It promises to not leave your hair streaky or orange. But be aware that the ingredients react best and will have a slightly better payoff on natural, virgin hair. And that is it for my John Frieda Favourites post. I always have so many requests for haircare posts so I hope this delivered and answered a few more questions. Feel free to leave any more questions in the comment section below. Also leave me a comment with which of the five featured products you most have your eye on! John Frieda is currently on an incredible promo at Clicks stores nationwide. 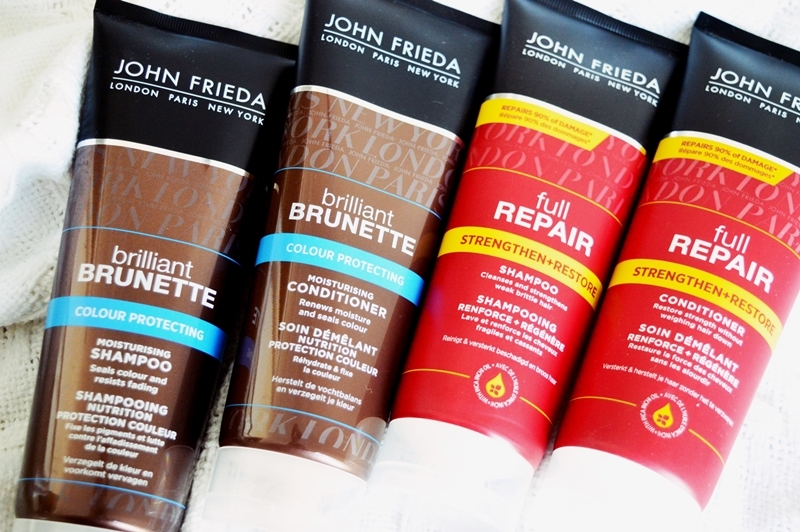 Purchase any three product from the John Frieda range and get the cheapest one freeeeee. I really need to try more from them. 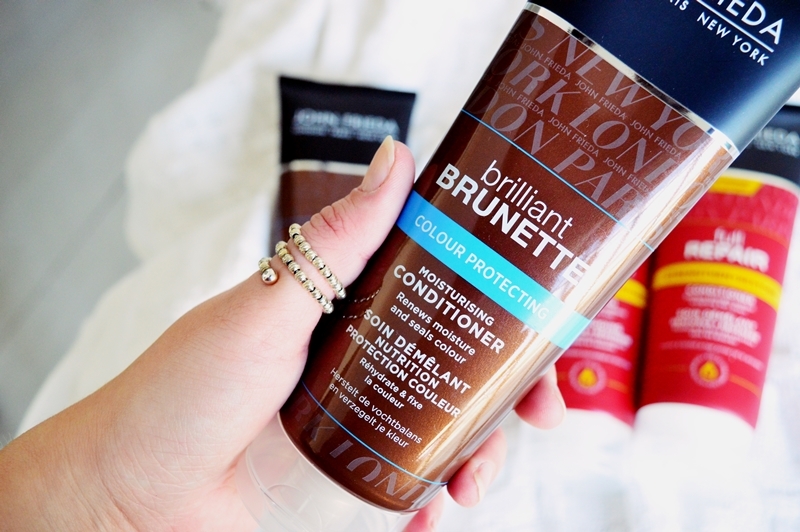 I’ve tried the brilliant brunette shampoo and conditioner and I really enjoyed it.